In my dream, I stood on the coast of Langemark Bay in Finchaffen when the first christian missionary set foot on the island of New Guinea. My fathers and forefathers set around under the mango trees at Simbang village and listened attentively as Senior Johannes Flierl teaches them on the word of God. The following weeks and months they walked the mountains and crossed the rivers as they preached the Gospel to every huts and fireplace they came to rest. The mission extended to every villages in Morobe and continued up to the Highlands region. The Lutheran Church played a vital role in Morobe, particularly in setting up schools and colleges which brings in young students from other provinces. One of them was pioneer Papua New Guinea Prime Minister Sir Michael Thomas Somare who did his high school at Dregerhaffen in Morobe province. Morobe from the remnants of the World War II transformed into a beautiful province that boasts a culturally diversified heritage and ecotourism spot in the Pacific. It's strategically the heartbeat of PNG being the industrial hub in the ports and shipping and manufacturing industries. It's a massive economical pot of gold that is yet to unleash it's full potential as the leader in agriculture, fisheries and the extractive minerals industry. But after 40-years of independence, there are stills lots of challenges that continues to affect the delivery of basic services to the rural population. Most importantly providing accessibility and market for the massive tonnes of coffee, cocoa, tobacco, fisheries and marine resources. 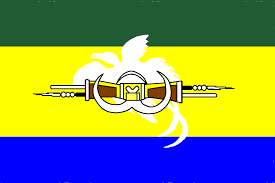 I am dreaming of a Morobe which will be connected by roads from the most remotest village in Waria in Garaina to the hinterlands of Teptep in Kabwum. From the cold mountains of Menyamya where the best organic coffee grows, passing through the golden valleys of Wau-Bulolo down the Watut River communities where cocoa is a thriving commodity. Across the Sarawaget Mountain ranges lies pristine waters and a rain forests that houses a vast habitat of ecotourism of different bird species and plants that cannot be found elsewhere in the world. I can see mothers struggling to carry their tobacco (brus) bags up and down the slippery slopes of Wain and Erap. Mothers in Nabak are still walking distances to seek medical assistance. The Markham Valley which is said to become the food bowl of PNG, farmers still faces alot of challenges in getting their projects up and running. There are backlog of issues in relation to Incorporated Land Groups that has seen several key projects not getting off ground. The Markham River is slowly eating away it's banks closing into the highway which is also riddled with lakes of potholes. The Markhams are fearless hunters and warriors, their women are very supportive in working their land. They own large portions of land areas which holds greater economic values in their families. Towards the northern coastlines of Morobe, preferably the Kotec and Dedua speaking people of Finschaffen, Sialum and Kabwum these are very historical places. Finchaffen is the birthplace of the Evangelical Lutheran Church of PNG and also boasts one of the first archaeological sites in the world. With a wharf, an airstrip and a thriving economy of fisheries and garden food supplies, the small township of Gagidu can become a hot tourist attraction. The people of Kabwum are organic coffee and tobacco farmers. Their major challenge is the accessibility in bringing their produces to the market and getting supplies of medicines and books for schools in the district. I still dream of seeing a railway route running through the Sarawaget range into Lae or even a road connecting the neighboring districts of Nawaeb and Markham so that farmers can save money on the high costs of airfreight. Siassi Island is home to several thousands of people who inherited strong cultural ways of fishing, gardening and observing traditional ceremonies. The early establishment of the Catholic Church on the island also set up schools and health facilities for the people. Much of these infrastructures have deteriorated overtime. Siassi has a huge potential in agri-business and can become one of the most sustainable industries for cocoa and copra, but today the lack of government support has seen young people turning to marijuana and homebrew for fast income. Down south towards along the Huon Gulf of Morobe, Salamaua is another historical site that holds the remnants of the world war two and the Japanesse occupation during the war. Relics of war bunkers and the remains of the first bank in PNG can be found in Salamaua. A breathtaking view of the calm waters of Huon Gulf and Lae city makes it a perfect a getaway paradise for tourists. Twenty-years from now, Salamaua is expected to become the marine and tourism hotspot in PNG, given it's scenic views and hosts of fresh tunas that dominated it's pristine and calm waters. Morobeans dream a lot about the future of this beautiful unique province. I am looking forward to the day when Lae City will give the best business environment for investors, a trouble free city for it's residents and most importantly create more jobs and business opportunities for every Papua New Guinean that calls Lae his/her home. Lae is on it's way to transformation. One of the first step a Morobean dreamer can take is through the electoral process of voting for a leader in the elections. Remember, no dreamer is dreaming in isolation, we are all looking forward to see our city and province prosper in the next five to ten years. We have started everything, from Lutheran Church to educating the first Prime Minister of this nation, let us go back and revisit the past to make the dream a reality.